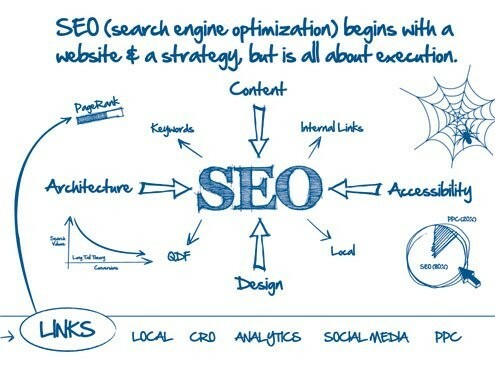 Building your business through the web starts with custom SEO Web Design. But with more than 80% of clicks happening on the first page of Google Search, a professional search engine marketing strategy is a must. That’s why we take an SEO-centric approach to every website we produce — from the design and development, to the site structure, and of course the content. SEO isn’t rocket science, but effective, long-term organic (unpaid) SEO requires a certain je ne sais quois. Luckily, we love geeking out about search engine optimisation, so you can bet we’re keeping an eye on Google to make sure we’re up-to-date on all the latest and greatest. We understand that all website traffic is not created equal, so we’ll work with you (and check out your competitors) to ensure your SEO strategy is aligned with your long-term business goals… so you can reach the right kinds of people without having to rely on pay per click (PPC) marketing campaigns alone. Getting to a top ranking on the Search Engines has a lot to do with Keywords and how you select and use them. 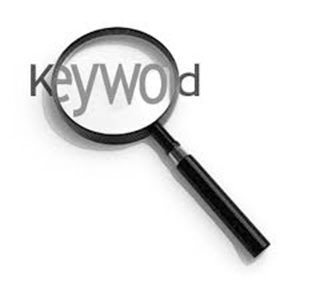 Keywords are the tools to ensure that you are found. So choosing the right keywords and then optimising your site to maximise the exposure of your keywords is essential. Firstly it is important to ensure that you are using words that will make money (people are looking of this term). Then ensure that the keywords are used the right amount of times on the page. Too many instances of a keyword can be just as bad as not enough. Optimising your website on an ongoing basis is one of the keys to ensure that you are using the most relevant keywords. This will keep you appearing strong in the search results. Are you telling the search engines what your business is all about? Lets have a conversation about how you can target the words that your clients actually type into Google when they are looking for you. A quality SEO strategy can help you dominate both local and global search engine results. But if you’ve got a specific market area that you’re interested in pursuing, increase your competitive advantage by taking a “geo-targeted” focus to your SEO efforts. Improving your search engine rankings this way prioritises cities or market areas that are most relevant to your business and customer base. Our search engine marketing team will work with you to compile a quality list of local search terms, and then help you build your organic SEO rankings through search engines’ online business directories and more. Looking to improve your Local Search Engine Rankings? Our team of search engine optimisation professionals are ready to go to work for you! Contact us today to learn more about how a local search strategy can help you build your business. Ready to talk about how we can help with your SEO Optimisation project?